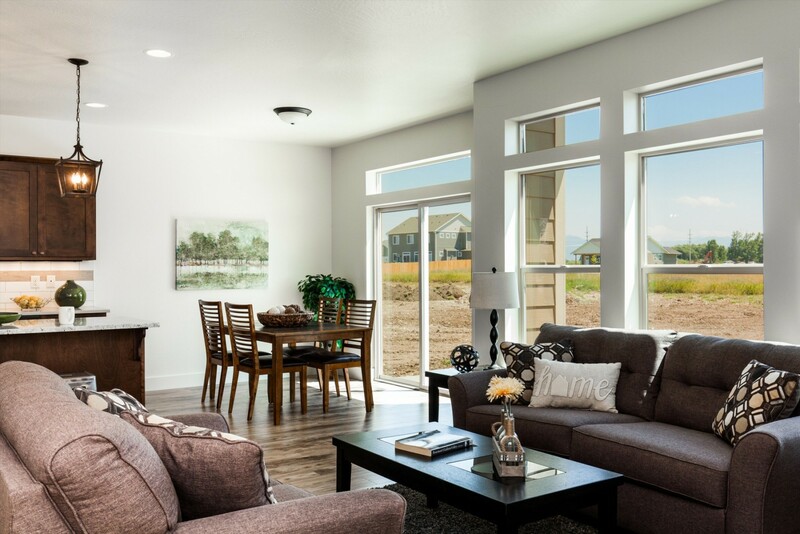 Come see our 2293 model today! The home features many upgraded finishes including an amazing kitchen with dark stained cabinets, quartz and granite counter tops, stainless steel appliances, and under cabinet lighting. This kitchens is open to a dining room and living room with a beautiful gas fireplace with stained mantel and recycled granite surround. The master in this home features great views of the tobacco root mountain range with a beautiful master bath complete with double vanity, a beautiful tile shower and an attached walk-in closet. Off the entry to the home are two other bedrooms and the 2nd bath, as well access to the laundry. Down the entry hall you will encounter the great room and stairs leading up the the loft. The loft features a large family room, a 3rd bath with linen storage and a 4th bedroom. This area has plenty of space for family game night, a full entertainment system and toy areas. The bedroom upstairs is ideal for guests or teens who want some space from the family. Outside, on the half acre lot, there is a detached ADU. What is an ADU? An ADU or accessory dwelling unit is a detached two car garage with a space above that can be finished out for a one bedroom apartment. This space is currently unfinished but is insulated so it has a lot of opportunity to be transformed into what ever space you desire. Maybe a totally rocking she shed or man cave, or maybe just storage for all those Christmas decorations. With a ton of options, this house is sure to fit your families needs! Hit the button below and we can set up a tour!